Since I have had a long, hard, bitter, up-and-down, occasionally humorous 40-plus-year history with our local newspaper of little news (fondly referred to as the Door County Aggravate–where I continue to be banned from its pages), it would appear bloody unlikely that I would throw that rag a bone, rose or a bouquet at this point in time. But at precisely this point in time, their 150th Anniversary, I would indeed like to throw them a big bouquet and urge readers. especially summer visitors, property owners, lovers of Door and local history, to get their hands on the Wednesday, March 21, 2012 edition of the Advocate, which is chock full of good stuff, including a most memorable anniversary insert, featuring a wonderful cover painting by Door County artist, Tim Nyberg…the entire issue, a keeper for sure, something to tuck away with one’s Door County shelf of books, magazines, photographs, old postcards, memorabilia galore. You will never see another issue like it. I say this in all honesty and with a touch of sadness because this ONE issue is so reminiscent of what we’ve been missing since the superb editor/publisher, class-act and person, Chan Harris, turned the paper over to publishers who had/have not a clue what good local journalism means, what’s more, don’t care, turning local news into the fewest words possible, the shortest meaningless articles, puff-piece editorials by the powers-that-be that never had balls enough to stand for anything except the status quo…thin pages of transparency, nothingness to the Nth degree—nothing but the continual pursuit of advertisers, most of whom left this no-news sheet a long time ago. 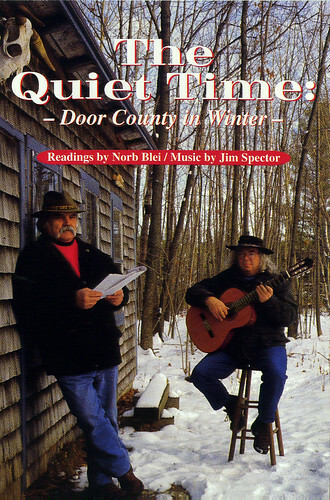 That being said, special thanks to associate editor, Warren Bluhm, whom I suspect had his hands all over this anniversary issue, since he’s one of the few not-so-old remaining guards who knows and understands at least a little about Door County, its people, its history. Good to read him–and Chan’s old byline as well. As a newspaper boy by foot, by bike…news-hawk, writer/journalist who came up (given a hand, a blessing, the push a city writer needed to survive by newspaper work and gradually move into short stories, novels, reviews, poetry)…I was beyond lucky to experience the rich Chicago’s newswriting world of the City News Bureau, the Chicago Daily News, the Chicago Tribune, the Chicago Sun-Times, etc….the friendships of Mike Royko, Sydney J. Harris, Studs Terkel, John Fink, Herman Kogan…and others. P.S. 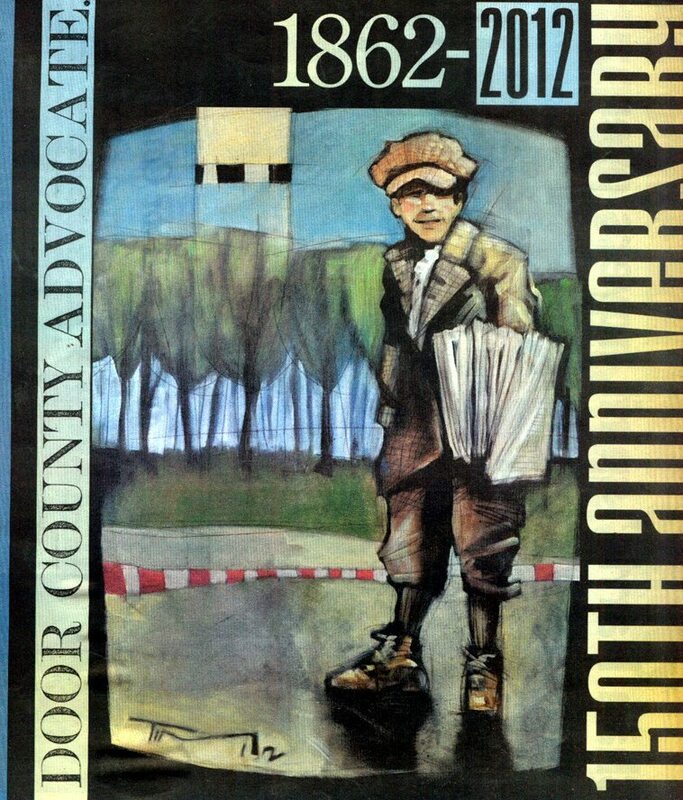 For the purposes of total transparency, I would add that in the 150th Anniversary supplement is a section entitled “150 Who Shaped Door County”, which includes a few kind words about the writer who has been mostly unkind to a local newspaper that never quite lived up to its responsibilities or his expectations. It is sad to see the demise of the local community paper everywhere. I believe you’re absolutely correct in your belief that residents / visitors / lovers of Door County WOULD support a news-reporting paper. If only…. good local journalism bites the dust. happened here too. Too bad. Could you share those “few kind words”? Yes, it is hard to understand. I used to subscribe to the Advocate and have it mailed to me here in Downers Grove IL. Finally there was nothing worth subscribing for. I’m glad to say that our local Downers Grove Reporter is still halfway decent, even an occasional investigative report. But I suspect the huge number of foreclosure advertisements have kept it afloat. We’ll see. Glad to hear they recognized you with kind words. You’ve been such a great champion of local journalism and the importance of community papers. It’s becoming tougher for them to survive each year as the large corporations buy up the local papers and gut the personnel to the bare bones and cut the budgets. It’s a real shame. They are so important to local communities. I always appreciated your writing, assertiveness, and general advocacy for maintaining a sense of peace and tranquility in this world. I’m writing a family history and started by researching the Blei side and then I’ll be on to the Bohemian…Tried to take Betty Blei to Klas’ a couple of weeks ago but they’re pretty well closed 🙁 …Betty says “Hi”!! Tried facebooking Bridget with no success. Contact me if you wish and I hope you have improved health.